delicious. intern Ellie Turnell has pulled together a list of family days out, creative activities and adventurous kitchen projects to help you decide how to spend your precious Easter weekend and make the most of spring. From wandering through bluebell-carpeted woods to challenging yourself to make your own chocolate eggs, check out these 20 fun things to do over the Easter weekend. The National Trust have teamed up with Cadbury again to host Easter egg hunts at over 250 of their historic properties in England, Wales and Northern Ireland. At Quebec House in Kent you’ll be challenged to find the eggs, honey and spices hiding in the garden that 18th-century lady of the house Mrs Wolfe needs to make her famous hot cross buns; other sites have exotic plants or bird-themed trails, along with family-friendly craft sessions and egg rolling. Lincoln Castle houses one of the four remaining copies of the Magna Carta, but this Easter will be home to another literary heavyweight: Alice in Wonderland. From 6-22 April visitors can take part in activities inspired by characters from Lewis Caroll’s most famous book: complete the White Rabbit’s Easter quest and receive a chocolate prize, challenge the Queen of Hearts to a game of croquet (weekend 13-14 April) and meet the Mad Hatter and learn about afternoon tea etiquette (weekend 6-7 April). Tick off all your dream Easter activities on the day itself at Daylesford in Gloucestershire, from decorating eggs and making floral crowns and Easter bonnets to meeting baby lambs and chicks. The farm, near Kingham, will host events throughout the month to welcome in spring, including a lambing tour on 13 April and a beginner’s floristry workshop on 25 April. 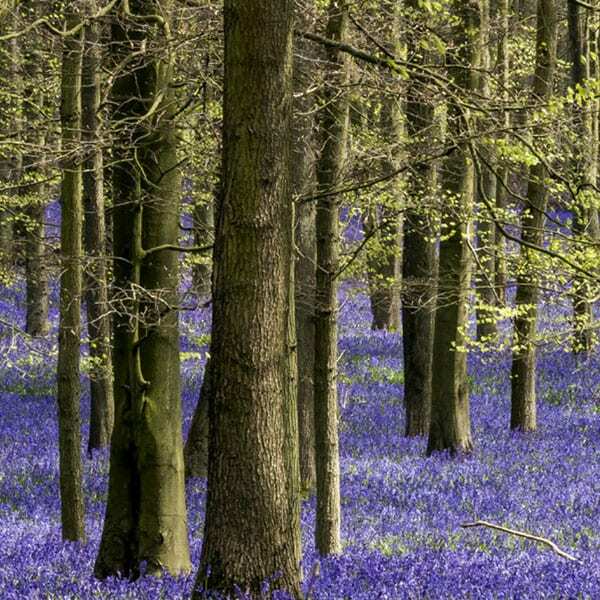 Ashridge Estate in Hertfordshire is famed for its sea of bluebells, which start blooming in March. You can cycle or walk through the estate, stopping to admire their ancient trees and the astonishing sight of the bluebells concealing the forest floor. Find other bluebells woods across the UK via the National Trust here. 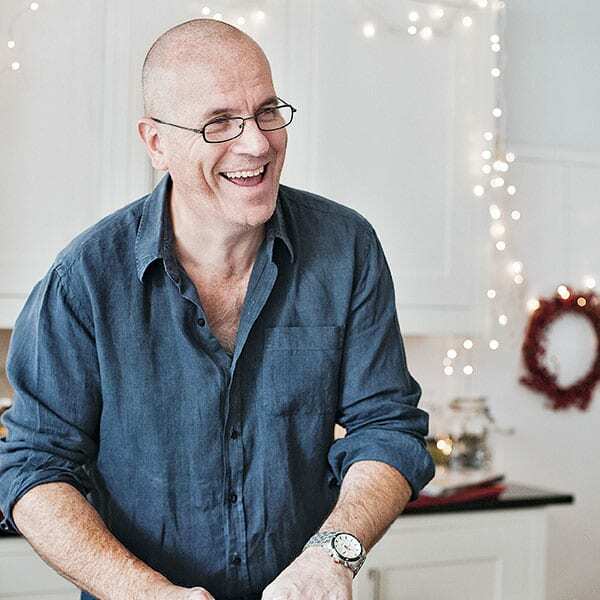 Join renowned baker Richard Bertinet’s at his new Easter baking class at The Bertinet Kitchen Cookery School in Bath, on 5 April. 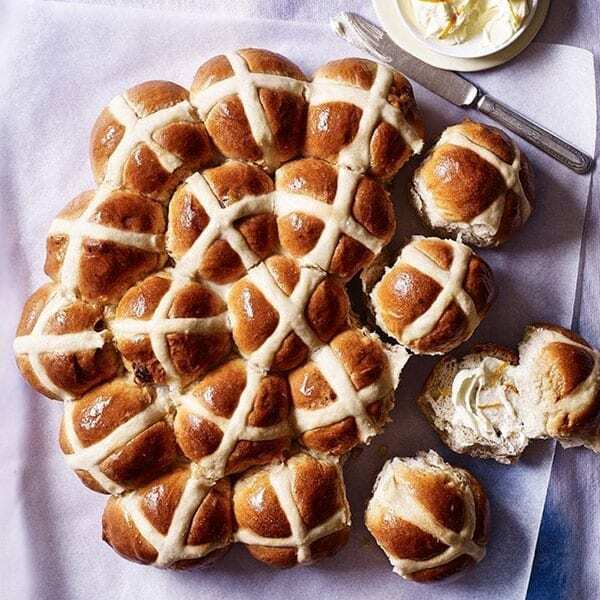 You’ll learn how to make classic hot cross buns, as well as cardamom and cinnamon twists and orange and hazelnut bread and also be treated to lunch with wine. The school will also run a two-hour kids’ baking class on 9 April, covering spiced biscuits, a marbled cake and fondant bites. The National Museum of Rural Life in Kilbridge, Glasgow, has three whole days full of Easter fun planned. Encounter cute and unusual critters, from chicks and bunnies to skunks and armadillos, on 20 April. Visit on Easter Sunday to meet the Easter Bunny and adventure through the Easter trail or on Easter Monday take part in a Mad Hatter’s Tea Party and listen to animal-inspired storytelling in the museum garden. Intrepid explorers big and small are invited to join English Heritage at a number of their historic sites to help hunt dragon eggs and crack clues, before claiming a chocolatey reward. Locations include the stunning Osborne House on the Isle of Wight and Scarborough Castle. London’s South Place Hotel will host Easter egg hunts to tempt children and adults on 19 and 21 April, with riddles to answer and prizes from luxury chocolatier Maison Samadi to be won. The hotel will also present a special screening of Willy Wonka and The Chocolate Factory on Easter Sunday, complemented with an Easter cocktail for the adults and hot chocolate for the kids. From 19-22 April, the Easter Bunny will be hiding hundreds of little chocolate eggs on Farmer Palmer’s Farm Park in Devon each day, and it’s your job to find them. There’s a packed timetable of hands-on animal activities too, with lambs, goat kids and chicks to meet. Take a trip to Trafalgar Square in London this Good Friday and watch an open-air performance of the final days of Christ staged by bible theatre group Wintershall, with over 100 actors taking part. Two 90-minute shows will begin at 12 noon and 3.15pm on the 19 April and are free of charge. The performance is a reminder of why Easter is celebrated worldwide and has gathered huge crowds for almost a decade. Big screens will ensure nobody misses anything. 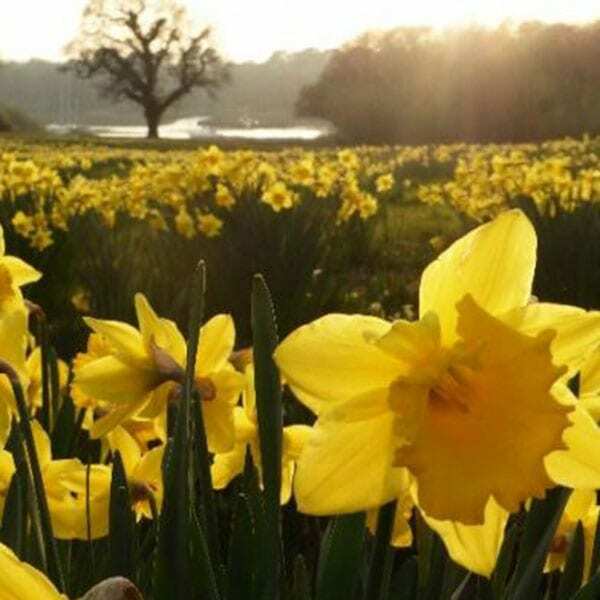 Exbury Gardens in the New Forest, Hampshire provide the perfect setting for an boozy marmalade whipped butter, with a 200-acre site that includes a dedicated daffodil meadow. After you’ve explored the picturesque estate, take a break in one of the two tea-rooms, before taking a turn on the miniature steam train, which puffs along a one-and-a-half-mile track through the gardens. Yes, you can! 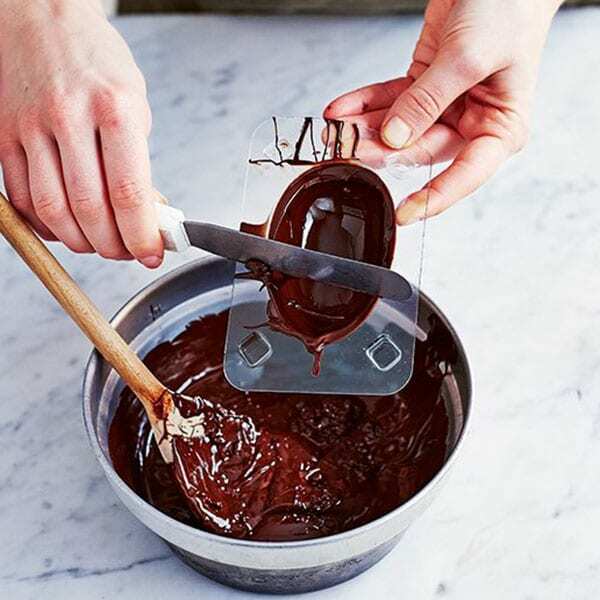 Our step-by-step guide walks you through filling and coating the moulds, gluing them together and creating a stylish finish worthy of a chocolatier’s window. We also have a guide to tempering chocolate, to ensure your eggs have a beautiful glossy sheen. Easter just isn’t Easter without hot cross buns. Make your own this year to tear ‘n’ share. Slathered with boozy marmalade whipped butter, they make a great brunch dish. 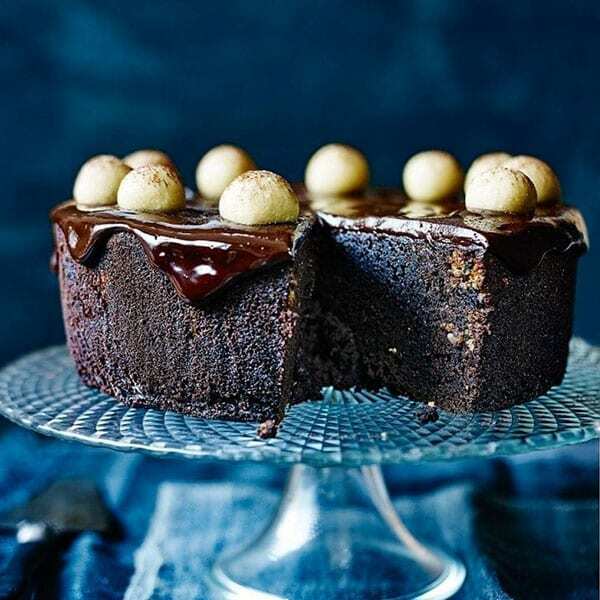 Simnel cake is an Easter favourite, but if you want to ring the changes we have two tempting ideas: John Whaite’s sour cherry and chocolate simnel cake covers a dark cocoa-rich sponge with hazelnut marzipan, while Debbie Major’s version is spiked with whisky and topped with a pistachio version of marzipan. …we’ve compiled a list of ways to help you use it up, from choc-chunk cookies and brownies to a special hot chocolate recipe – find out what to do with leftover Easter eggs, here. In many European countries, it’s traditional to hang hollowed-out, brightly coloured eggs from the branches of trees to celebrate Easter. 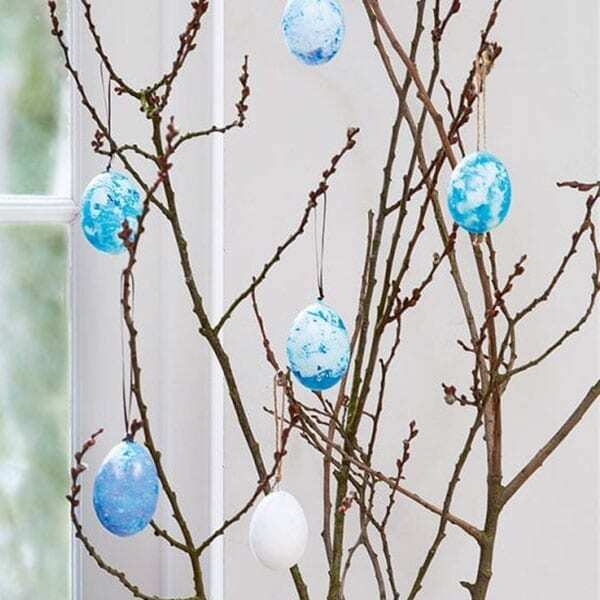 Make your own centrepiece with small branches and twigs from the garden, arrange in a vase, then hang the decorated eggs to bring a bit of the outdoors inside. 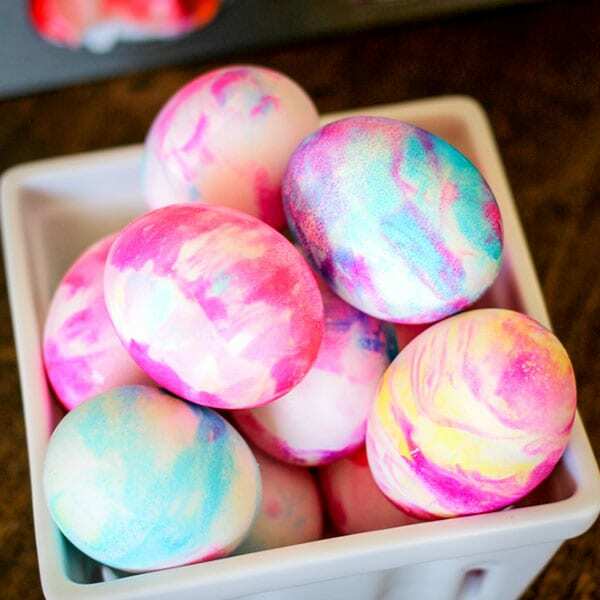 Dying eggs is an Easter tradition and can be an entertaining way to spend an afternoon with the kids. Allyson from blog Domestic Superhero has come up with a quick, easy and mess-free way to create rainbow-bright ones using gel food colouring and shaving cream – see the full tutorial here. 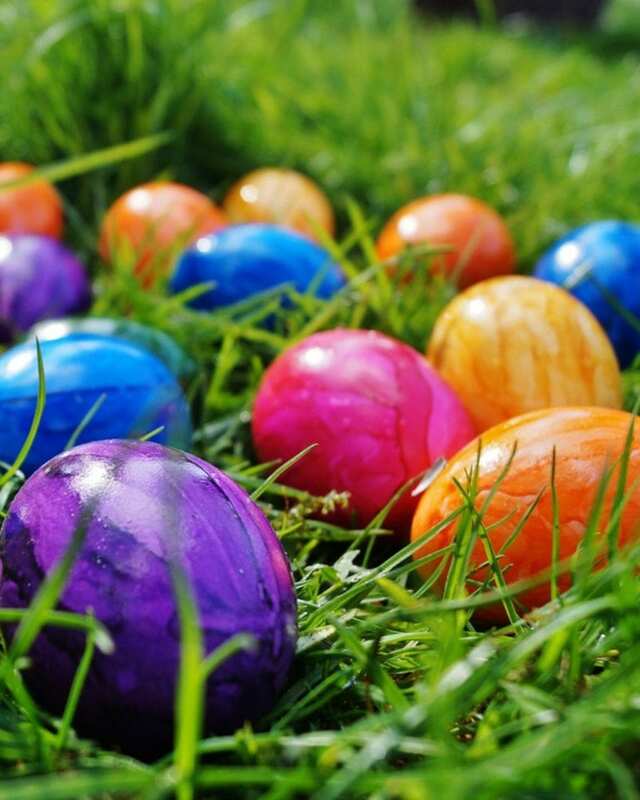 If your idea of an Easter egg hunt has previously involved dotting them around the garden and hoping for the best, be inspired to plan something a little more challenging this year. This blog by Personal Creations has lists of printable clues suitable for indoor and outdoor hunts, and kids big and small. Brand Hobbycraft are hosting a number of Easter-themed workshops at their craft stores across the UK in April. 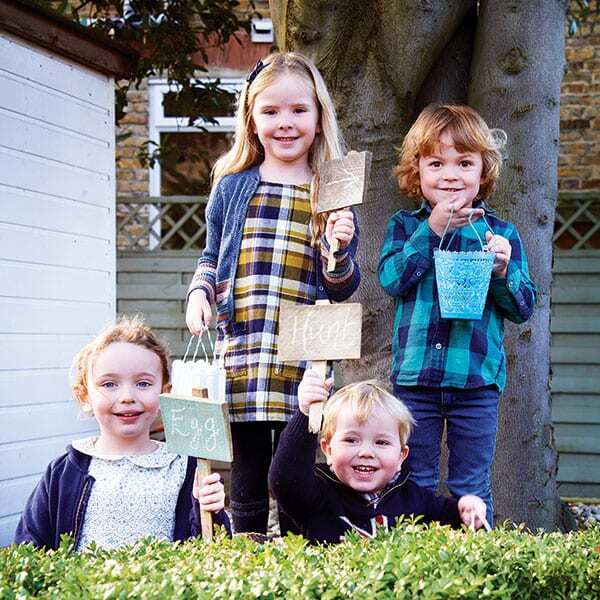 Kids can decorate chocolate eggs or an Easter bonnet with Hobbycraft supplies, colour in hanging eggs, paint an egg-shaped moneybox and learn how to make their own slime. The fun is all free, too. No time for glue, dye or glitter? Follow our simple video tutorial and learn how to fold your napkins into cute Easter bunny ears. They’ll add some whimsy to your Easter dinner table.